Every year we’ve been in the US, we have always gone apple picking in Asheville, NC. Our family has gone 3 years thus far and we look forward to it every time. After every trip, we always have a LOT of apples in our house. Our kid is an apple picking machine! Thankfully, he can also eat his weight in apples as well. 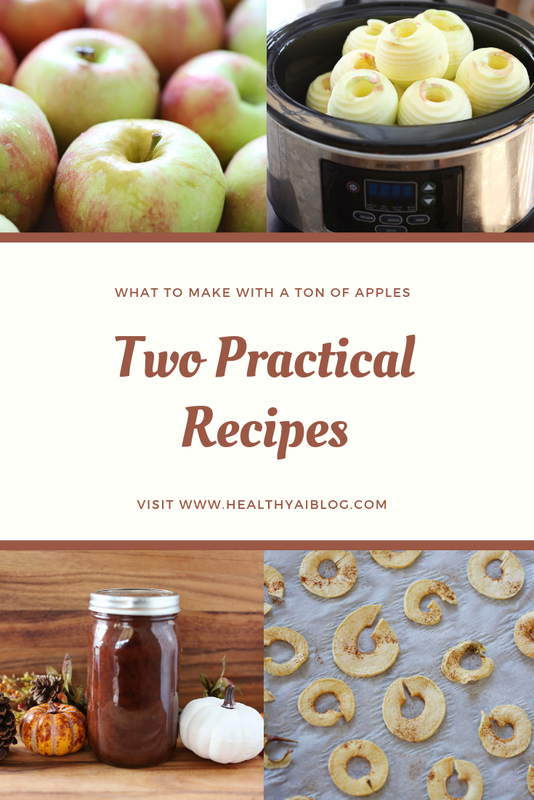 But to ensure our apples are used in time, we love these two recipes. 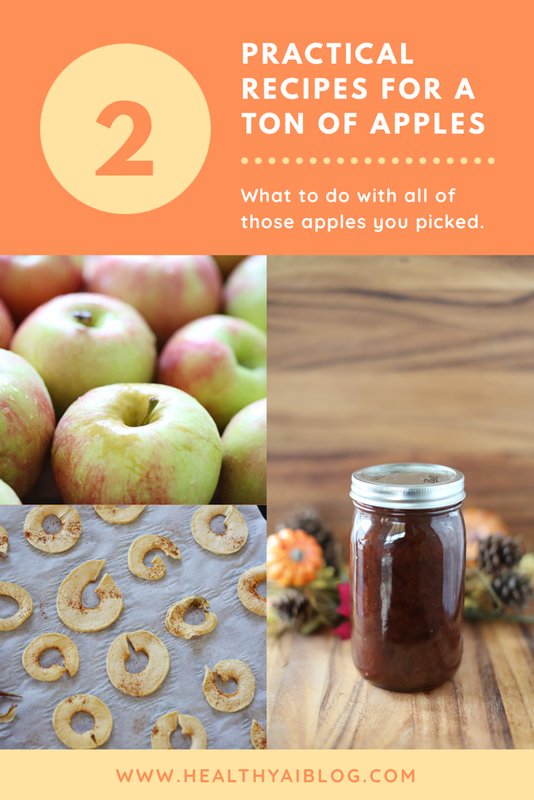 The first recipe is for apple butter. 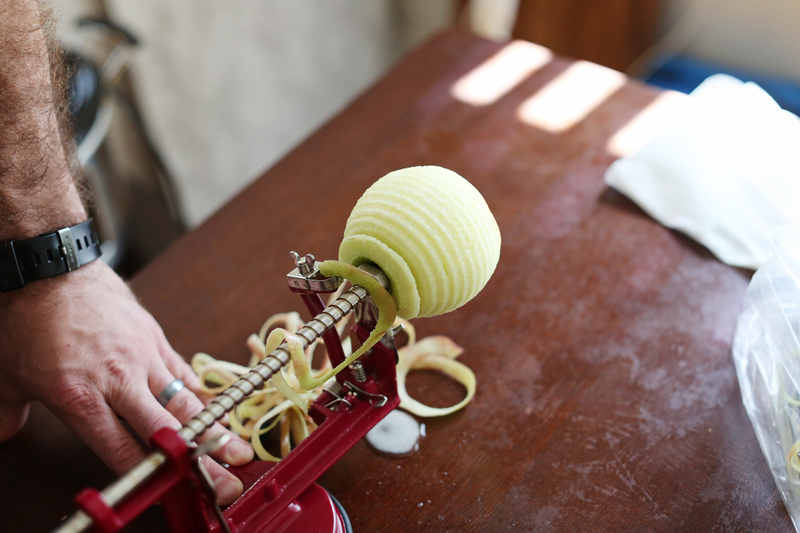 We wash, peel and core each apple. The peeler/slicer/corer that we’ve used for years is the one HERE. It makes the job much faster and a little more fun. I collect all of the peels for use in my homemade Apple Cider Vinegar. 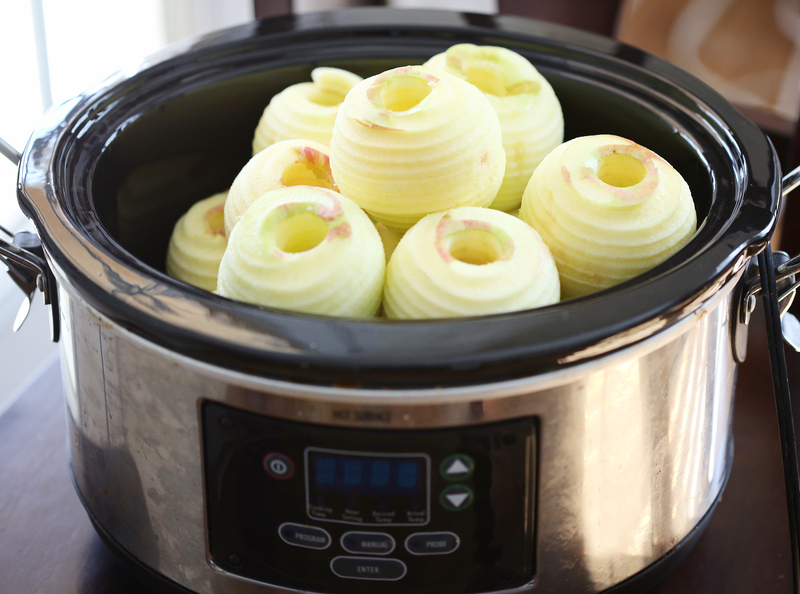 I pile as many apples as possible into my crockpot. Then I add the apple cider vinegar, lemon juice, the lemon rinds, sugar, and spices. I cook it on high for about 8 hours. After the 8 hours, I take the lemon rinds out and use an immersion blender to puree the apples. Afterwards, I cook it without the lid for another 4-6 hours to cook off the water. Afterwards, you are left with the BEST apple butter. We store ours in the refrigerator because it only lasts us a couple of weeks before it is devoured. 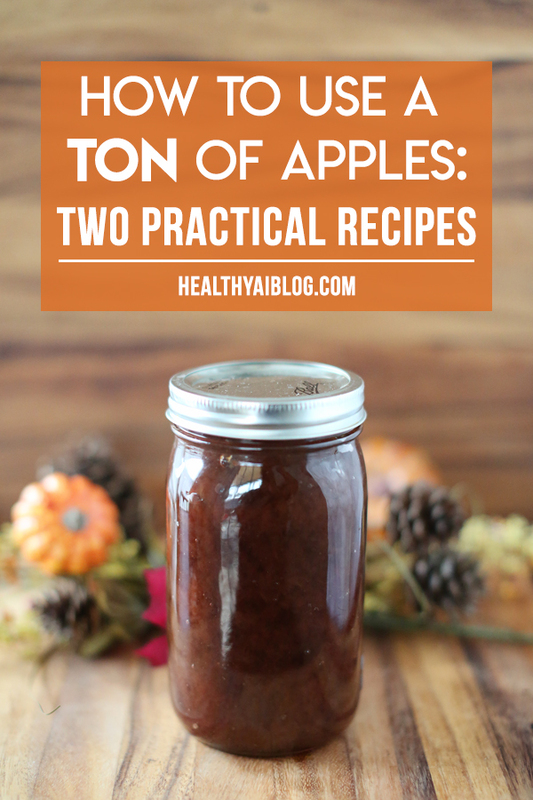 But, you can definitely follow canning directions and store it for longer periods of time. 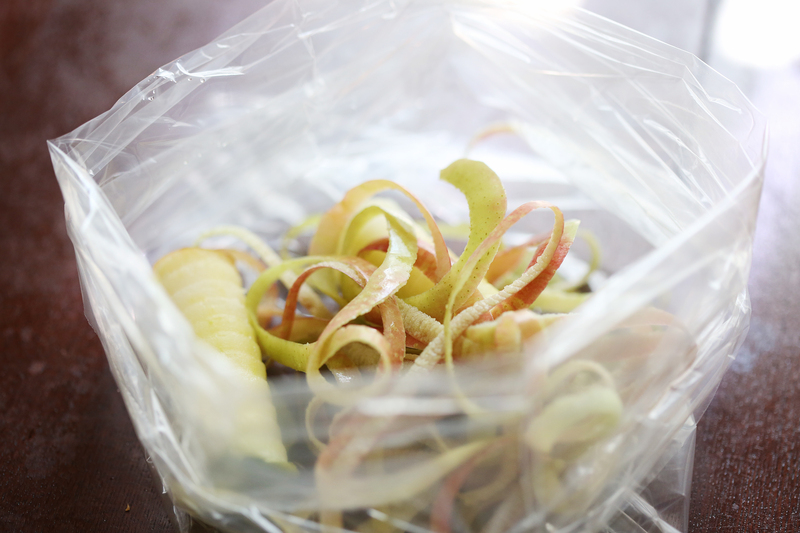 Directions: Peel, slice and core apples. Place all ingredients into crock-pot. Cook on high for 8 hours. Remove lemon rind. Puree with immersion blender if you want a smooth texture. Cook for another 4-6 hours without lid. 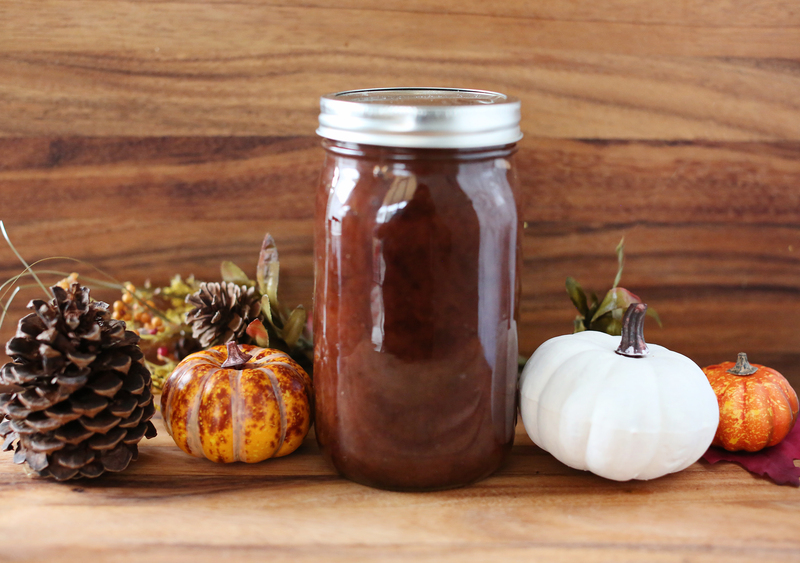 Spoon into appropriate containers and keep refrigerated if not sealed properly for canning. Obviously not all of the apples will fit into my slow cooker. 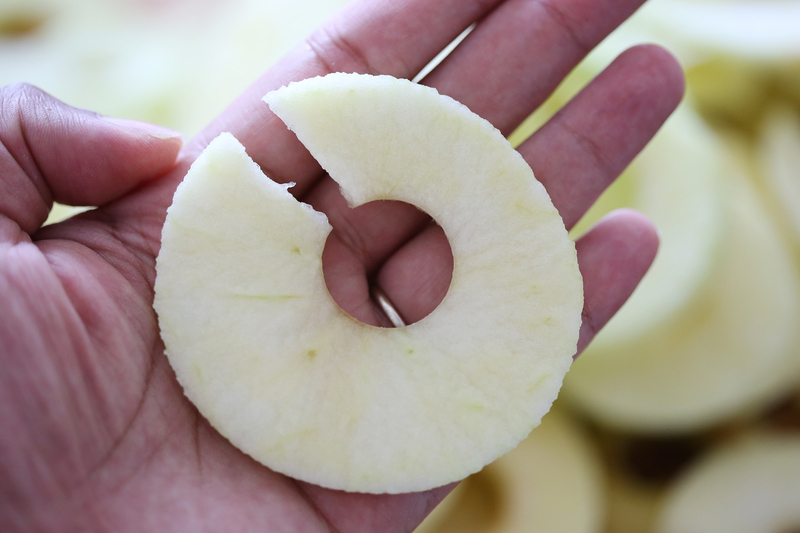 So with the rest of the apples, after peeling and coring, I broke them into rings for dehydrating. 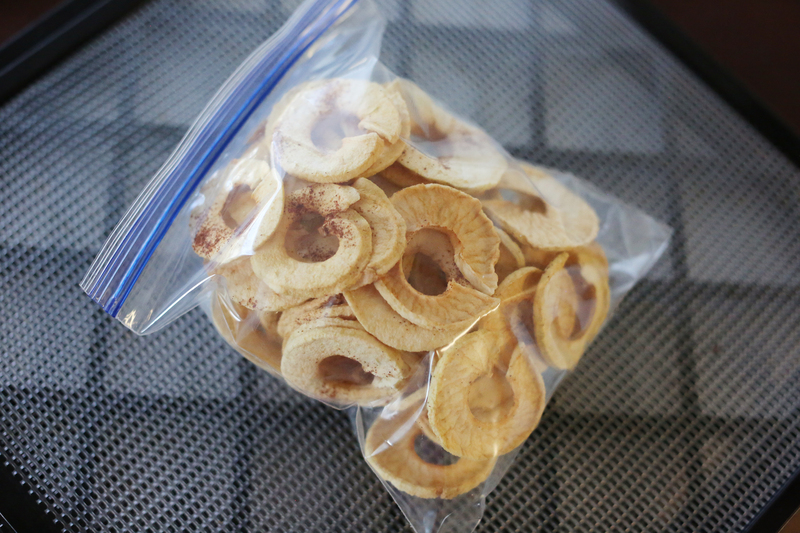 These dried apples can be used in baked goods, oatmeal, granola, etc. But we like to just eat them as is. We bought this Excalibur Dehydrator about 4-5 years ago. I use it for dehydrating things like apples and jerky. But I also use it for making yogurt. It has been well worth the investment. Plus, they’re a lot more cost efficient now than when we had originally bought it. If you get this dehydrator, definitely get these pre-cut parchment paper sheets. They make dehydrating waaaay easier since there is barely any clean up. Do yourself a favor and get them! After 6-8 hours, they’re perfectly crispy and ready to use (or eat). 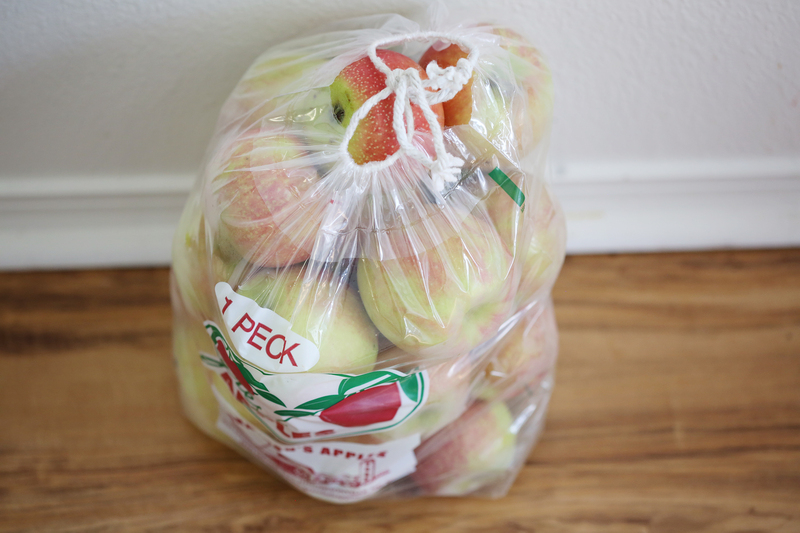 This quart-sized bag is about 5-7 apples worth. We love these for road trips because they’re perfectly sweet without any added preservatives or sugar. 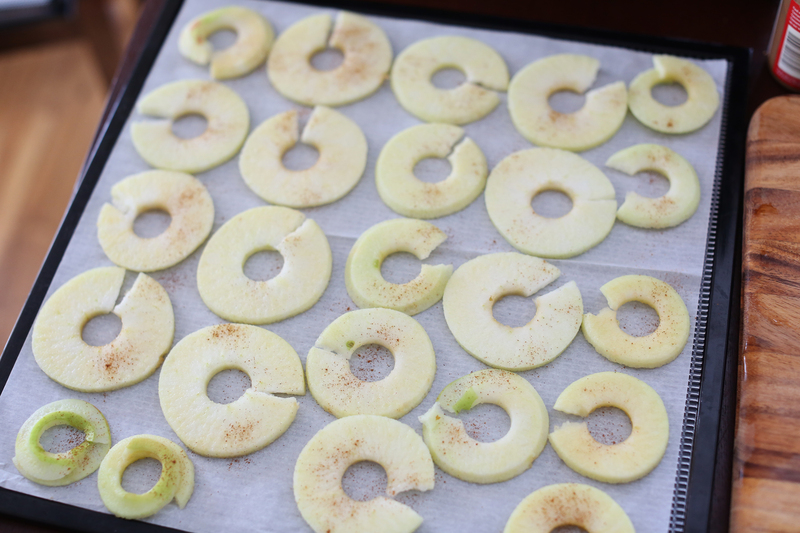 (For dehydrator) Place rings of apples on trays, sprinkle cinnamon (to taste) on apple slices. Dehydrate for 6-8 hours at 165F. After dehydrated, keep in seal-able container. 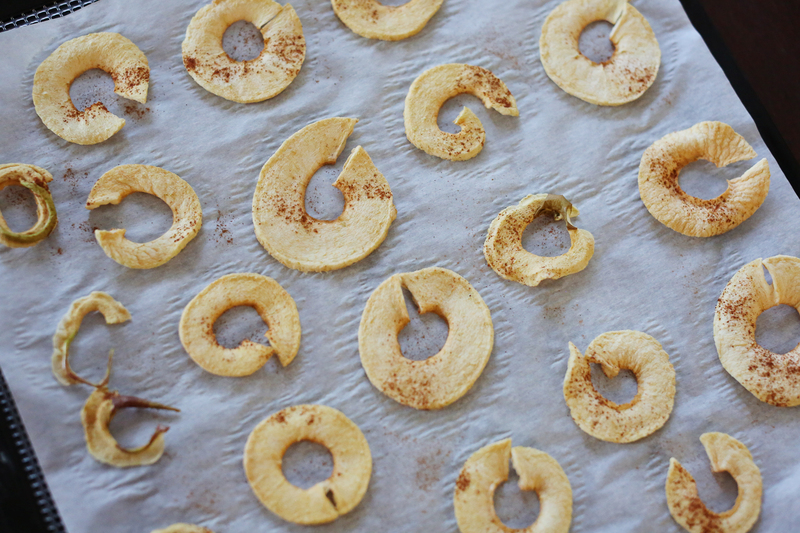 (For oven) Place apple rings on parchment sheet covered cookie tray. Bake at 200F for 2 hours.